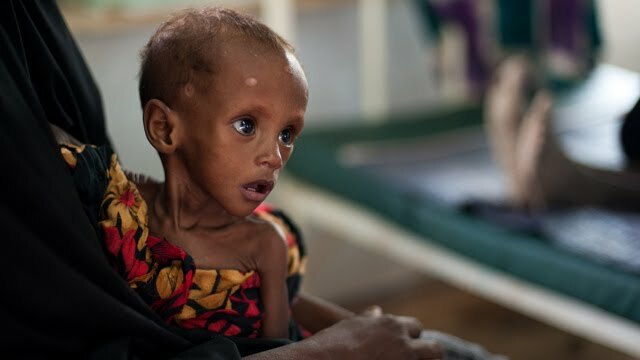 For the past few days my heart has been broken by the images of starving children in East Africa. They are suffering from one of the worst droughts in 60 years and the people are dying as a result. All I keep thinking about is what if that was me? What if I had to watch my son die? This is the reality that these parents face. And I keep wondering, where is the compassion? Where is the outrage? Where are the “saints” when it comes to this issue? Why aren’t we rallying to help save these families? With the state of our economy, this could very well be us in a few years. In all of this, the Holy Spirit keeps bringing Matthew 5:7 to my remembrance. Blessed are the merciful, for they will receive mercy. God will grant us mercy if we show mercy. If we love God the way that we say we do, then how can we stand idly by and watch our brothers and sisters die? How can we expect to be shown favor and mercy in our lives when we turn a blind eye to the suffering of others? All I know is when I look at the faces of these children, I see K. I see my little boy. In K’s time of need, I wouldn’t want people to turn a blind eye. I would want them to show him mercy. We always think that if someone saw our baby, they would have compassion on him or her. However, look at the world’s response to these babies. We see the images, but we do nothing. Witnessing this travesty makes all the dancing and shouting that we do in church seem ridiculous. If we don’t have works to go along with our supposed great faith, then our faith is dead. CNN.com lists several ways that you can get involved to help the people in East Africa. You can also donate to the World Food Program, an organization that provides direct assistance to families. One of the ways that you can start helping right now is to call upon the name of the Lord in prayer. I believe in the prayers of the righteous. They indeed avail much. Let’s pray according to James 5:17-18 that God will send rain to East Africa.